What does a pear taste like? 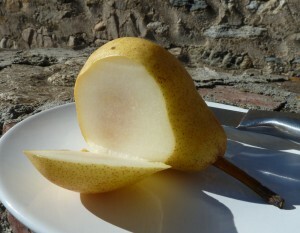 How do you describe the taste of a pear to someone if you have never tasted one before? And, more importantly, how would your characters describe it?